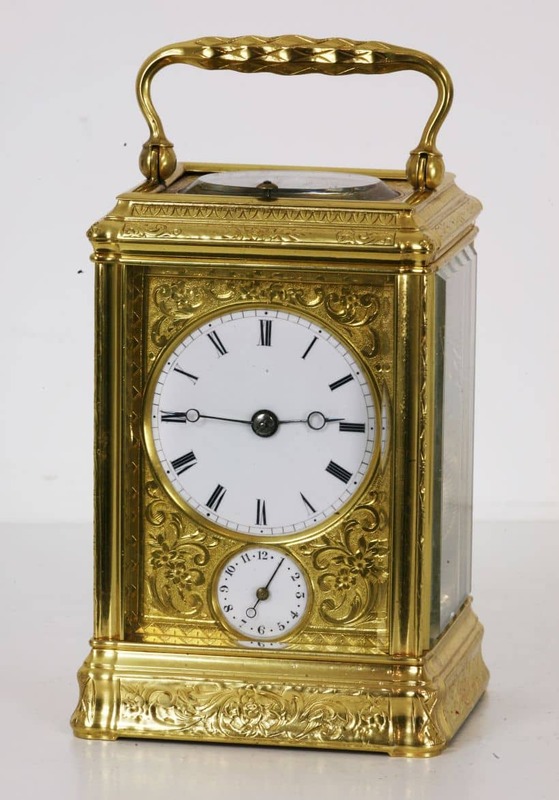 A FULLY ENGRAVED GORGE CASED STRIKE REPEAT CARRIAGE CLOCK WITH ALARM & GILDED MASK. 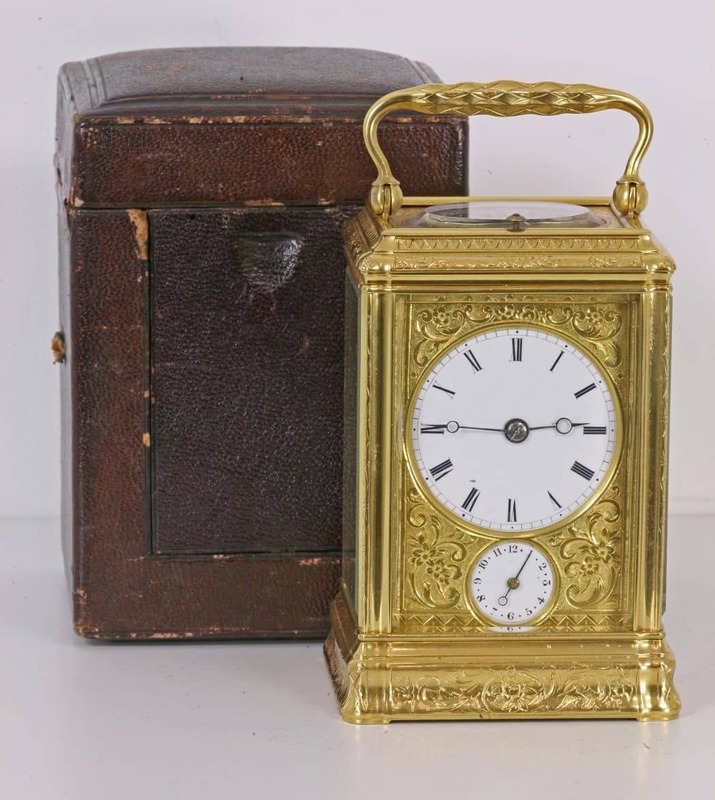 WITH PERIOD TRAVELLING CASE. CIRCA 1870. 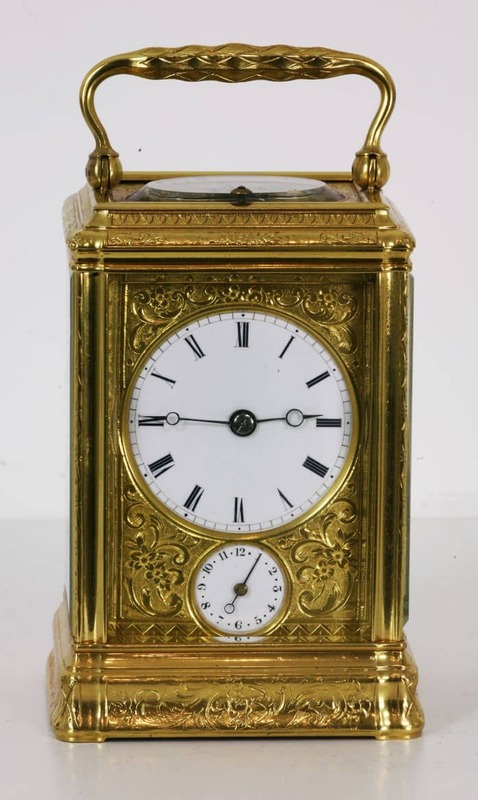 An attractive and relatively small strike repeat carriage clock. 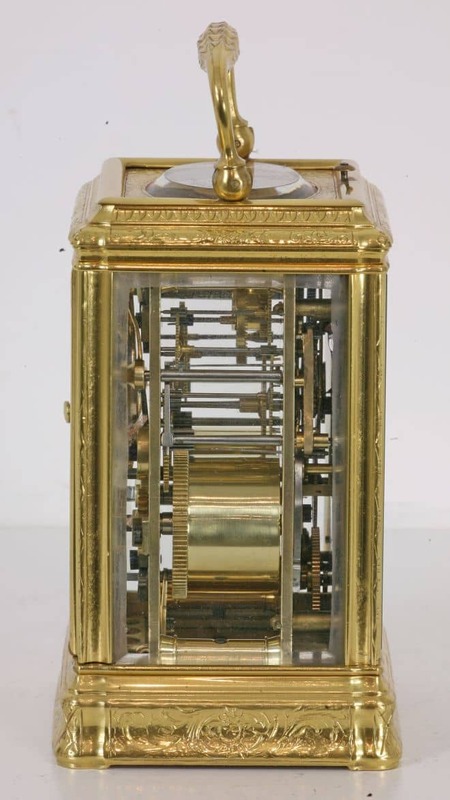 The gorge case, with engraving to the top, the bottom and the edges of the pillars, has an attractive oval cut out at the top to show the escapement. 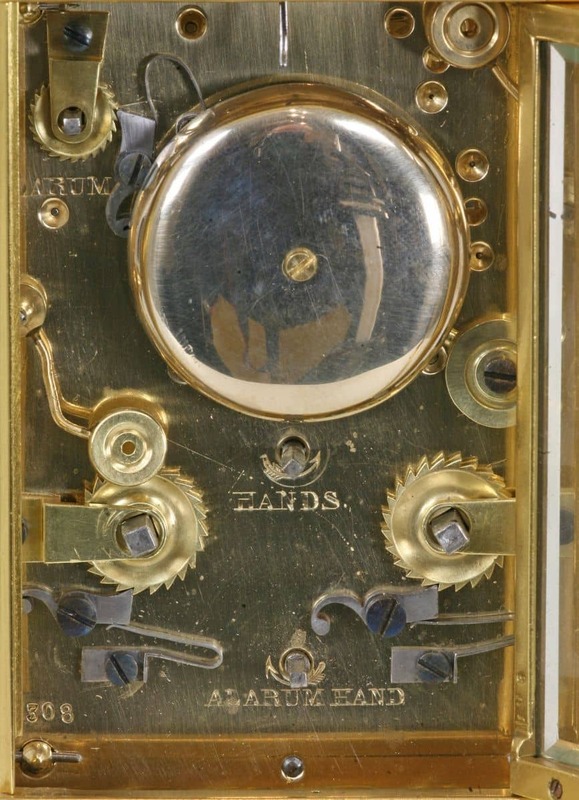 The enamel dial has Roman numerals and moon style hands and there is a small alarm dial below with Arabic numerals. 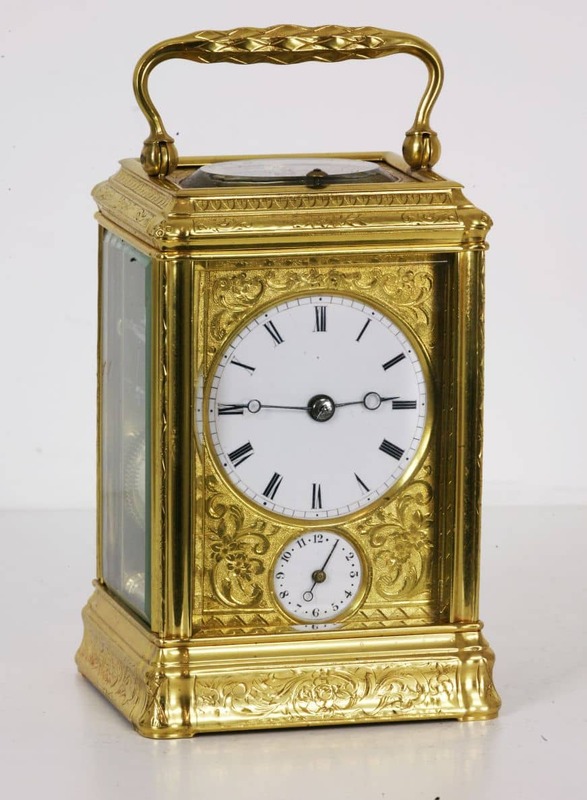 Both dials are set within a floral and foliate engraved mask. 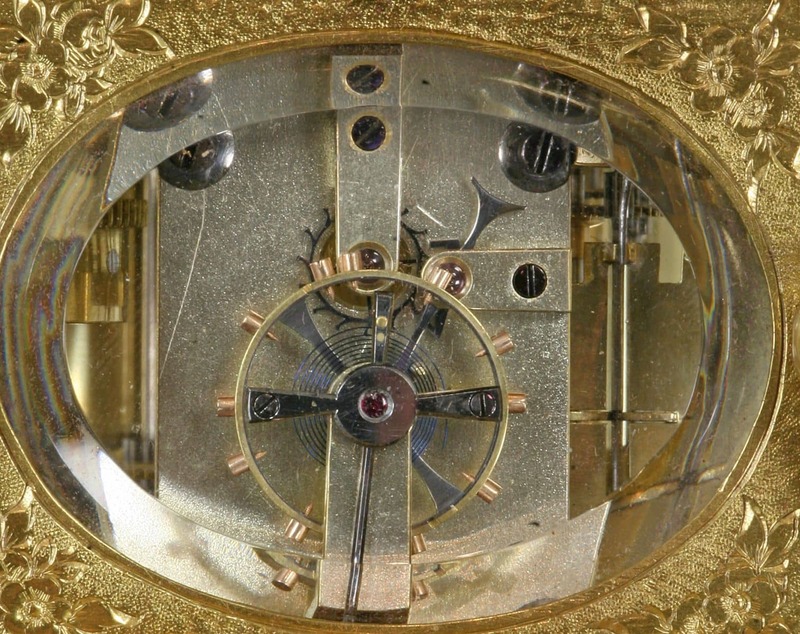 The eight day bell striking movement is numbered 3308, as is the case. 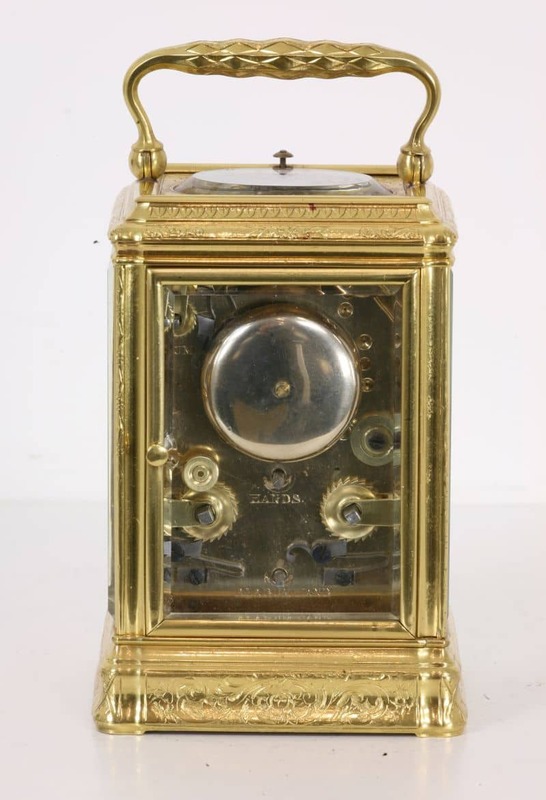 It strikes the hours and half hours on a bell mounted on the backplate and repeats at will via the button on top of the case.